We were pleased to get our hands dirty during the final phase of the Kendal at Oberlin wetland enhancement. This was our first major planting event of 2017, with the installation of over 4,000 native wetland and prairie plugs (28 species)! 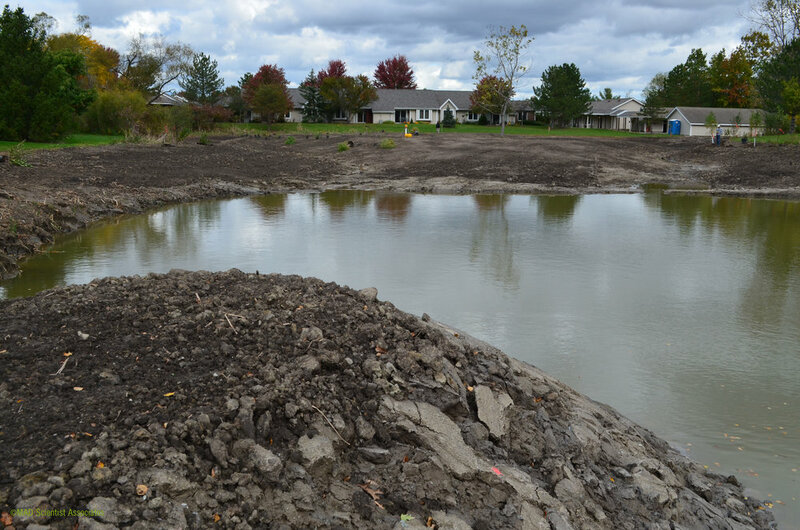 Work on this 2-acre wetland enhancement began in late 2015 with a delineation and permit application. In 2016, the design was completed and put out to bid. 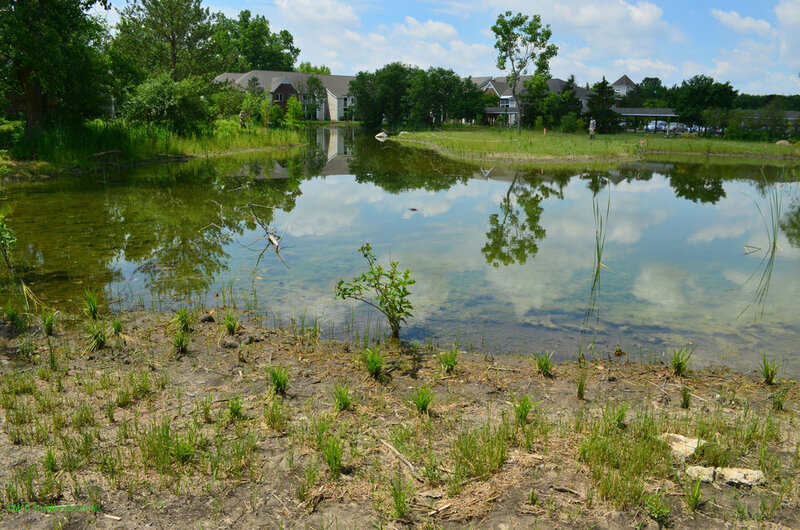 Wildlife was relocated to other wetlands within the Kendal property in preparation for earthwork. 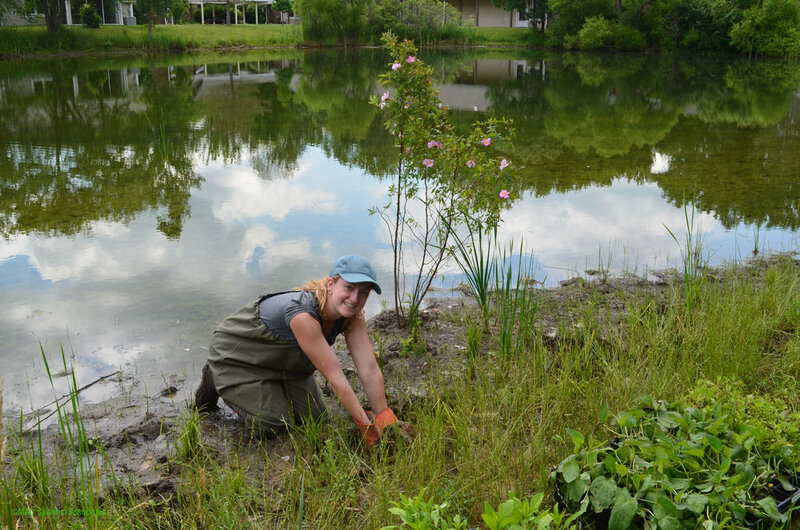 That October, the wetland basin was shaped and planted with native seed, shrubs, and trees. The basin was completely filled by February of 2017. Residents of the Kendal community have enjoyed monitoring the wetland's development, and will soon have a beautiful view of a wetland system that includes emergent marsh, scrub-shrub, and open water. In order to ensure project success, we will monitor the wetland for water quality, plant establishment, and to manage invasive species over the next two years. 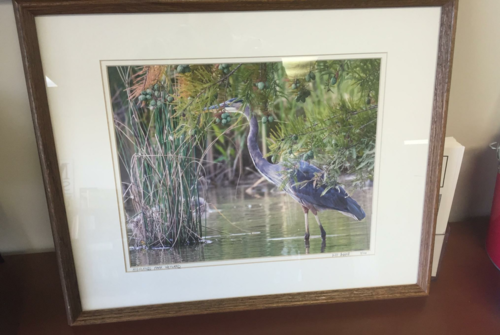 As a thank you for our role in the Highlands Park wetlands enhancement project, local nature photographer Bill Baird dropped by our office this fall to surprise us with a framed copy of one of his beautiful Great Blue Heron photos from the Highlands wetlands. Thanks so much to Bill!